The Shima in aurora color by Bernard Katz, draws from the communication between two individuals. Shima is a Navajo word of endearment meaning, my mother. 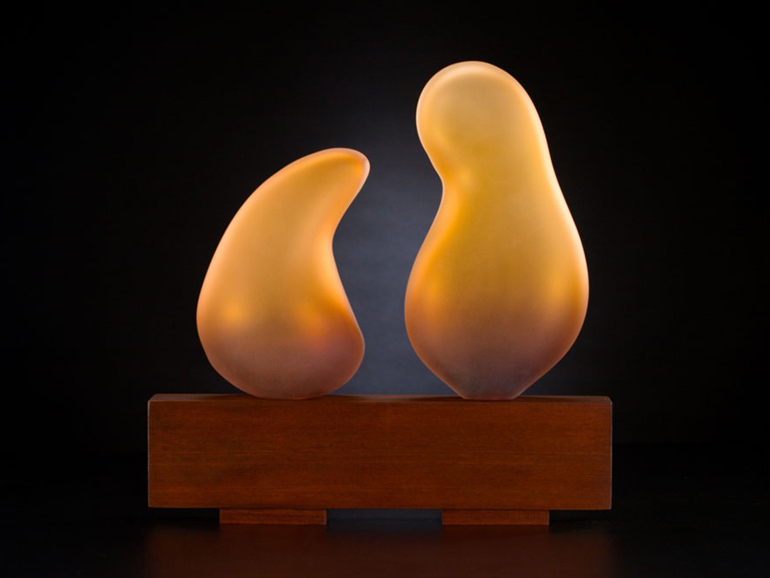 Shima is a hand blown art glass sculpture with Navajo inspiration. The glass forms sit on top of a hand finished redwood base to complete the sculpture. For more information in regards to this series, please contact us directly.